We love Croydon Tech City. They are a growing community of software developers, venture capitalists, technologists, startup founders and creatives who are passionate about the next generation’s skills. They love Code Club as they know how much it will help children in their area learn such skills and kick start a passion for technology to last them a lifetime. They were one of the first groups in the country to decide that all their schools needed a club and have been working tirelessly to spread the word and make this happen. 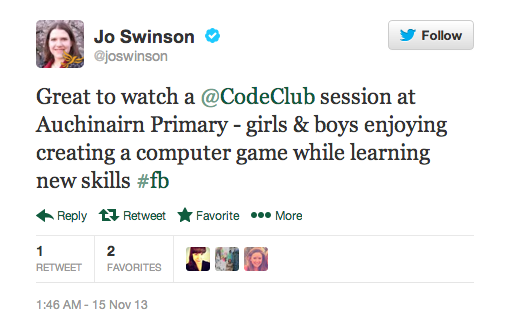 How Croydon Tech City could deliver a Code Club in your primary school. The event is open to all South London primary AND secondary teachers, Headteachers, governors and parents and you do not need to know anything about computers to attend! To register to attend, please email Croydon Tech City with your name and the South London school you are affiliated with. Code Club and Google go on the road! This week we packed our bags and headed up to Scotland for the first of a series of workshops in schools that we are doing with our pals at Google. 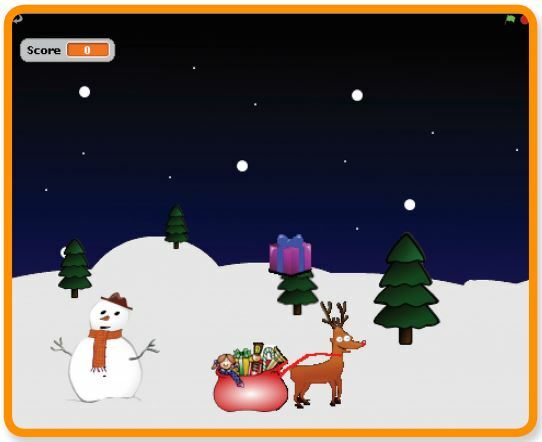 Over the next few months we’ll be travelling all over the UK to different primary schools and showing a group of 9-11 year olds how to make a fun game using Scratch. As if this wasn’t cool enough, we are also going to be hosting a local MP at each workshop too! We’re hoping that they’ll be impressed when they see a Code Club in action and will help us with our mission to find more volunteers to run Code Clubs. Whilst we’re heading to all these schools we’re taking the opportunity to hold a meet-up for current/potential volunteers and teachers the evening before. Check out our events list for more information about these. Let the roadshow commence!